IoT solutions are a natural fit with asset management. Whether you want simple live location data for your assets or monitoring a more complex set of metrics in order to optimise maintenance or introduce usage-based billing we can help. The Internet of Things offers exciting possibilities to optimise the way your assets are used by collating and interpreting vital location, usage and condition data in real time - helping you to maximise profit. Asset rental businesses have been quick to see the benefits of remotely monitoring their diverse assets. Location data is an obvious first step. It has a decisive role to play in terms of resource allocation and loss prevention. Once the concept is proven, more complex metrics are quick to follow: collating data about condition and use can help to optimise maintenance schedules – improving customer service and maximising rental returns. This type of data supports businesses to adapt business models – enabling usage based pricing and introducing new possibilities for upselling or cross-selling. But these benefits aren’t restricted to asset rental firms. Any business with high value mobile assets can benefit from such data, particular with asset optimisation, improved maintenance schedules and more effective parts ordering. Simple, secure IoT solutions can be tailored to the needs of your business simply and rapidly using the ThingWorx platform and ThingWorx’s unique mash-up builder which enables you to create bespoke dashboards quickly and easily. To find out more, call our team on 0333 313 0006. Read how DeviceLynk gives its customers the ability to monitor the status of a field asset, building, or other infrastructure from miles away using a ThingWorx IoT solution. 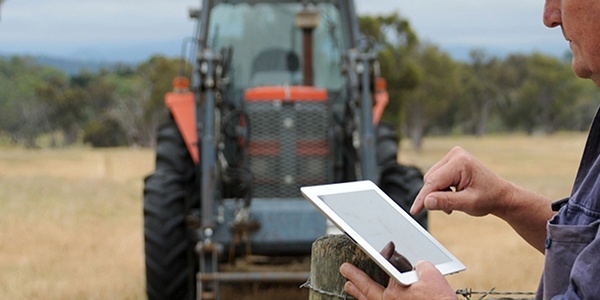 High-tech innovation in farming is leading the way in our new, connected world: helping farmers to work smarter and greener to maximise profits, minimise environmental impact and work more sustainably. The Internet of Things offers a tantalising opportunity to manufacturers: to develop real competitive differentiation and advantage. InVMA consultants can help you identify what that opportunity looks like for your business, then leverage the Thingworx platform to get your solution to market fastest. IoT applications have a vital role to play in production and infrastructure, domestic and industry. From Smart meters and intelligent home appliances through to optimising vital infrastructure through machine learning, the Energy sector is leading the way in Internet of Things innovation. By connecting HVAC, lighting, environmental sensors, and security and safety equipment, along with external information, such as weather data or the smart grid, facilities management companies are maximising resource efficiency, reducing costs and risk, and increasing visibility across all operations. The idea of 'smart' operations is not new to manufacturing. However, the opportunities to realise smart operations and leverage big data to improve operational efficiency and optimise resources are new. Changing consumer expectations mean that those manufacturers who exploit the IoT to integrate their product offering with new services can secure significant competitive advantage. The Internet of Things presents opportunities for healthcare providers to optimise their service and reduce operating costs. Meanwhile, it offers medical device manufacturers an opportunity to learn more about the way their products are used in order to optimise customer service and product development. With more and more customers looking for interconnectivity through the cloud so that they can access and interact with their equipment remotely, the Internet of Things poses challenges and opportunities for OEMs. Our communal and commercial spaces are undergoing a smart transformation: creating new ways to live in, work in, and improve the cities of the future.